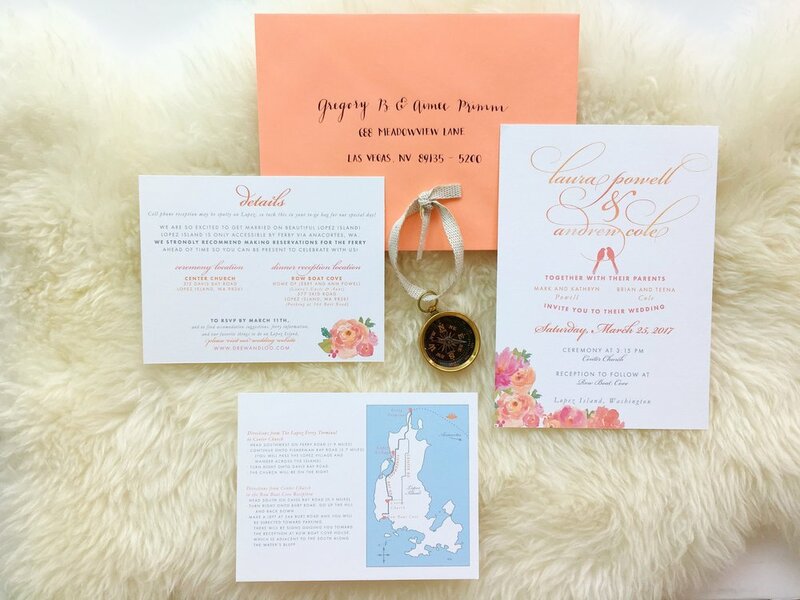 Bright colors, bright florals, and bright envelopes are the highlights of this invitation suite. The bride and groom's names are listed in an elegant script that is printed with a watercolor texture. Two lovebirds are perched in the center, a special nod to the bride's engagement ring. A custom map is included on the A2 details card, and the bright watercolor flowers are all over!